I always love giving my readers the opportunity to win something, but I'd be lying if I didn't say I'm super-excited about this one! 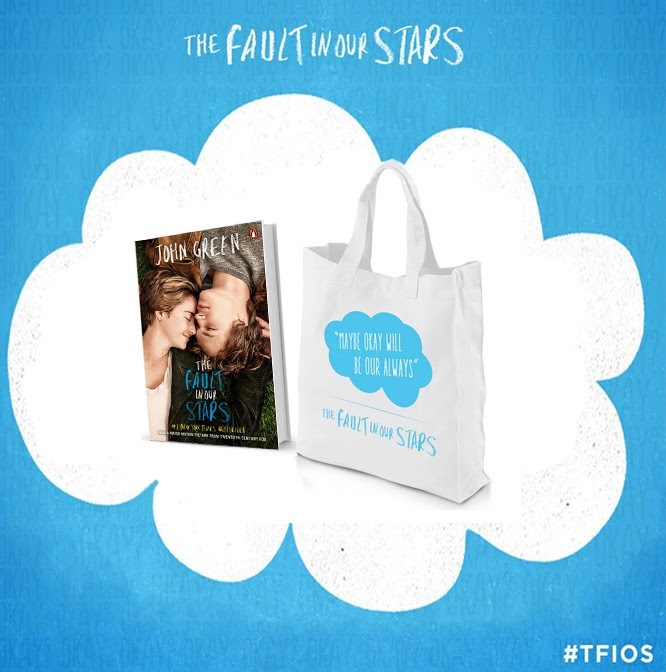 To celebrate the release of the The Fault in Our Stars movie as well as the newly issued paperback (movie tie-in), I am giving away a The Fault in Our Stars Prize Pack! I absolutely loved this book, as did everyone I know who has read it; and I can't wait to see the movie! To enter, just fill out the form below before June 17th at 11:59 p.m. EST. I will randomly select and notify the winner the following day. This contest is open to those of you with U.S. addresses only. Good luck! 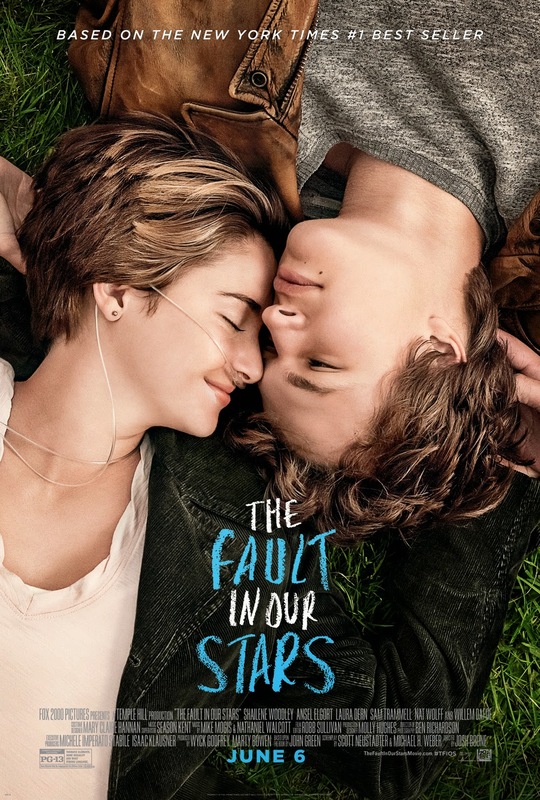 Check out the trailer for The Fault in Our Stars movie! I was already tearing up! I can't wait to see this movie! Thanks for hosting the giveaway! Love the book as well and can not wait to see the movie! Hopefully this weekend.